I am still going strong on practicing baking cakes and cupcakes for Hannah’s bridal shower. I think I have finally nailed down what I’m going to do. 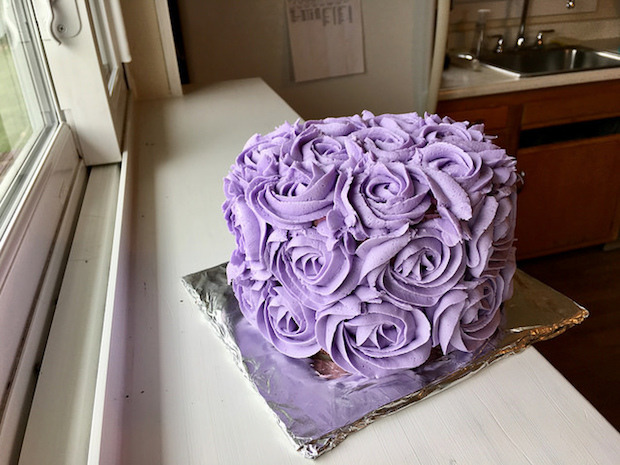 The rosette cake before the roses. 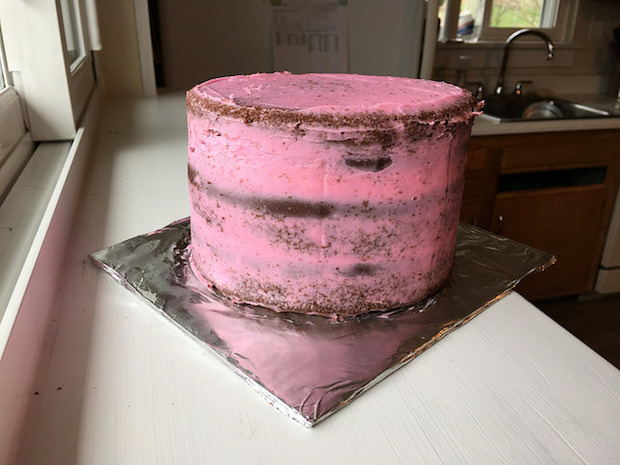 It’s a chocolate cake with a pink buttercream crumb coat. Here’s an example of the ombre stripe cake. Just imagine it without the rosettes on top! I tried that it didn’t like how it looked, haha. 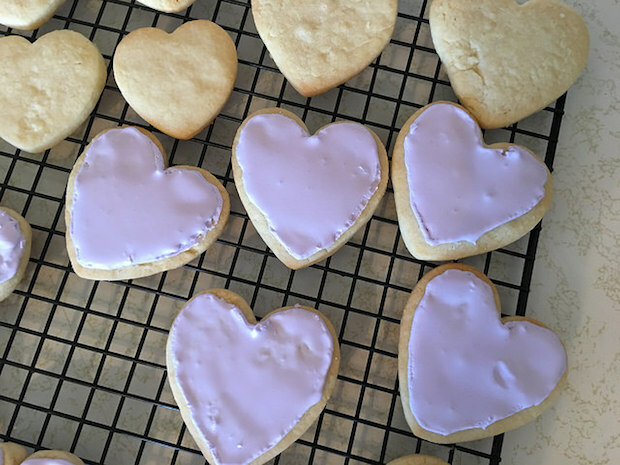 You can’t go wrong with sugar cookies as a favor, right?! I think my next step will be to do a practice round of everything at least one more time to smooth out all the details and fine tune my decorating skills. I feel like I could always use more practice to make things sharper, ha. Looks beautiful and delicious Allie! Girrrlll that first cake is unreal. 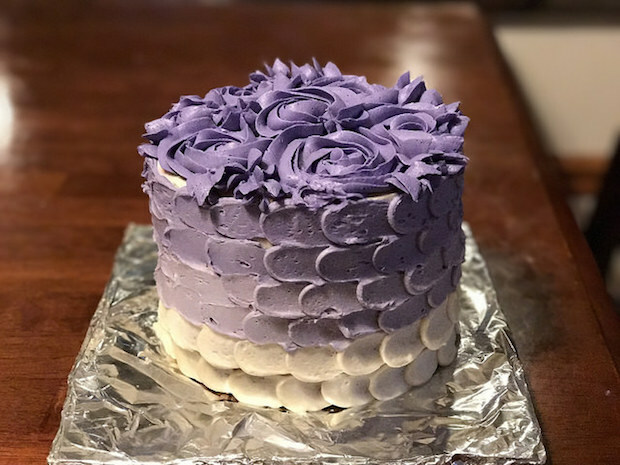 That cake looks absolutely gorgeous. I’d still want to have a slice of it though, haha! Girl, you have a GIFT!! Show me your ways!! How do you make those roses look so perfect?! I wish we lived closer or I’d totally have you over for cake!! Then you could get your puppy fever out, too! I agree!! That was one she tried on! 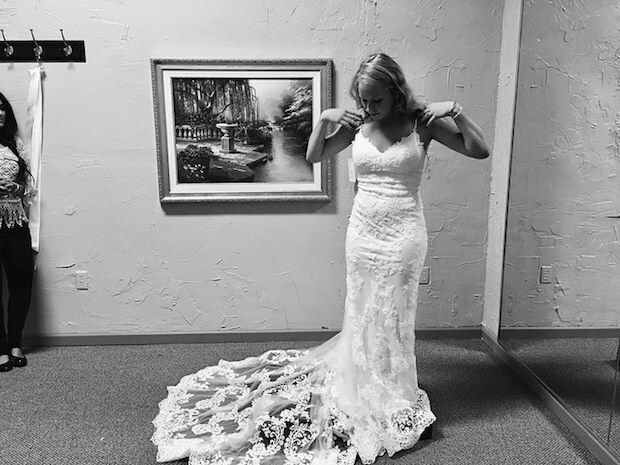 Her future MIL picked it out and everyone in the group loved it!! She ended up choosing one that was a totally different style! Honestly, she looked gorgeous in every single dress! Thank you for the cake compliments! I am in awe of your skills. Seriously – these are amazing. 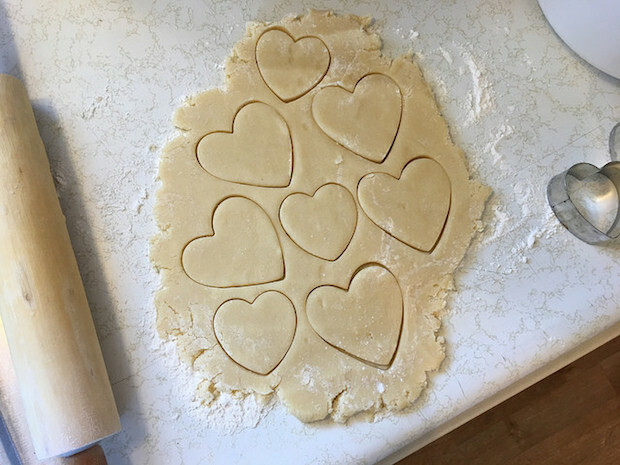 I want to live next door to you and eat all these tasty goodies!! Aww, thank you!! I wish you lived next door, too! I would provide you and Kevin with all kinds of treats!! Your talent amazes me BIG time always. I still can’t get over how perfect your cakes are!